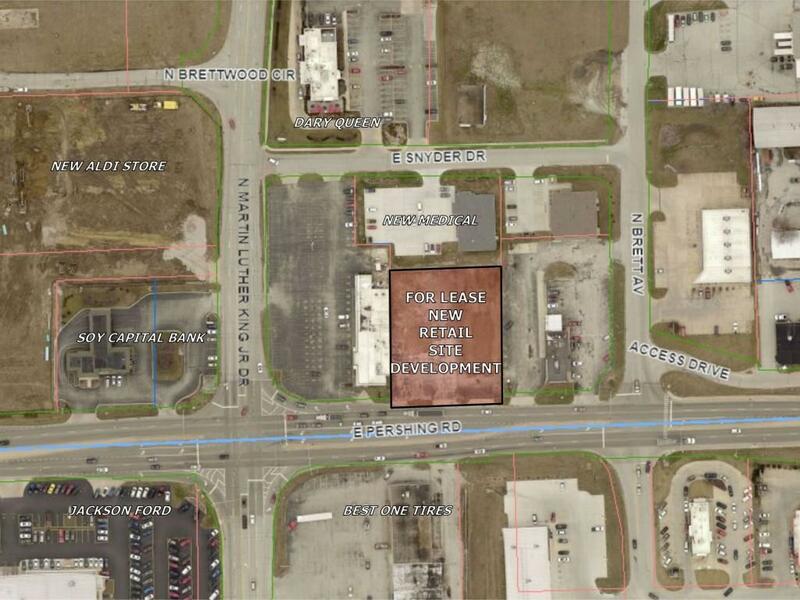 Now LEASING for a forthcoming PRIME RETAIL STRIP on East Pershing near North Martin Luther King, Jr. Drive. The Decatur Community this long awaited the return of retail activity at this corner. If you are a high volume retailer, medical office or service business and looking for highly visible corner, your opportunity has arrived. Build-to-suit suites from 1700 sqft to 7100 are available. Front door parking, easy in and out to Pershing Road and MLK, Jr. Drive. The corner at Pershing Road and MLK Jr. Drive is among the busiest in the city. East and west travel provides 21,600 vehicles per day and MLK funnels 8,900 VPD past this corner. Make your inquiry now. We do not anticipate this opportunity will be available forever. Base rents will be competitive and reflect similar properties in this market. Final rents will be negotiated based on agreed terms. Zoning is B-2 and allows for a wide variety of business uses. This site is within an Enterprise Zone which may provide some incentives.